The Bucs will be visiting the Eagles of Florida Gulf Coast (16-8) on Thursday night at 7:00PM. ETSU comes in on a 1 game winning streak and 2-2 in their last four, including an exciting overtime victory against Lipscomb. 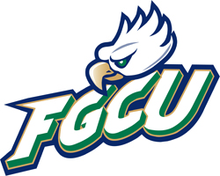 Florida Gulf Coast comes in on a 4 game winning streak and a 8-3 record in the conference that has them in 1st place. The Bucs hope to pick up where they left off on Saturday, however ETSU has yet to win back-to-back games this season. Coming off their second highest scoring output of the season against Lipscomb, ETSU will look to continue that kind of pace but it will be difficult as FGCU is allowing only 69 points per game. FGCU is led by senior guard Sherwood Brown who is averaging close to 16 points per game and is shooting 41% from behind the 3-point line. The Eagles are currently sitting at the top of the Atlantic Sun standings and are 11-1 on their home court including a 12-point victory over The University of Miami back in November. Miami is currently the 8th ranked team in the nation. The Eagles only home loss was an overtime heartbreaker against Lipscomb 3 weeks ago. While the Bucs have yet to win back-to-back games this season, they have to feel confident about this game despite FGCU’s current first place position in the standings. ETSU handed FGCU one of their only 3 losses in the conference back in January with a big come from behind victory after being down 19 points in the second half. In addition to that, Senior Jarvis Jones is coming off a career high of 36 points, including the game winning shot, against Lipscomb. For ETSU to Win they will need to contain FGCU’s leading scorer Sherwood Brown. In addition to containing Brown it is vital that ETSU play tough defense behind the 3-point line. The Eagles torched the Bucs with 14 3-pointers the last time the two teams met, even though ETSU still won the results may be different if they allow that many 3’s on the road against a team that is 11-1 on their home court. The Bucs have struggled on the road this season against the top teams in the conference, with double digit losses to both Mercer and USC-Upstate on the road. ETSU can’t afford to go down big in the first half in this game, like they did in the previous game. The Bucs must come out strong and not have to play from behind if they want a chance to win.